It’s not very popular to be a Republican these days. I could rant. I won’t. 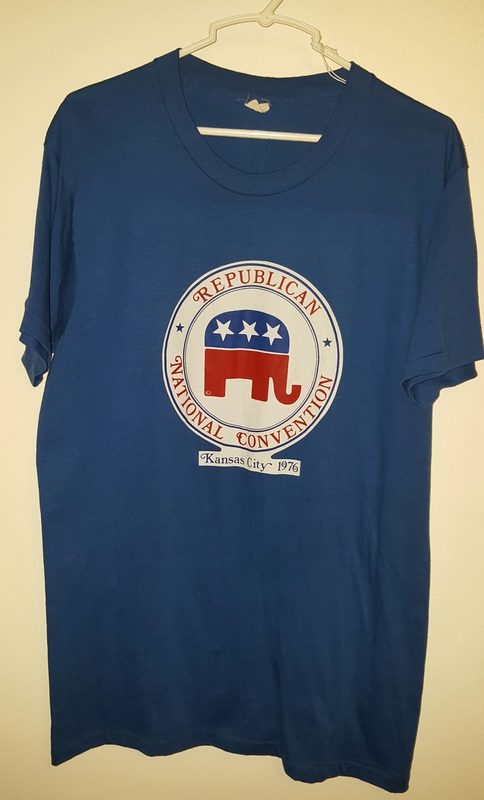 These souvenirs from the 1976 Republican National Convention in Kansas City, Missouri were kind of sight for sore eyes in a local antique mall today. This is the first time I’ve seen any memorabilia from the event for sale in my journeys, so I had to have them. The blue t-shirt has seen better days and I can’t read what size it is, but I’d guess a Large. The convention logo is in pristine condition though and I think it’s a pretty nice piece of local history. 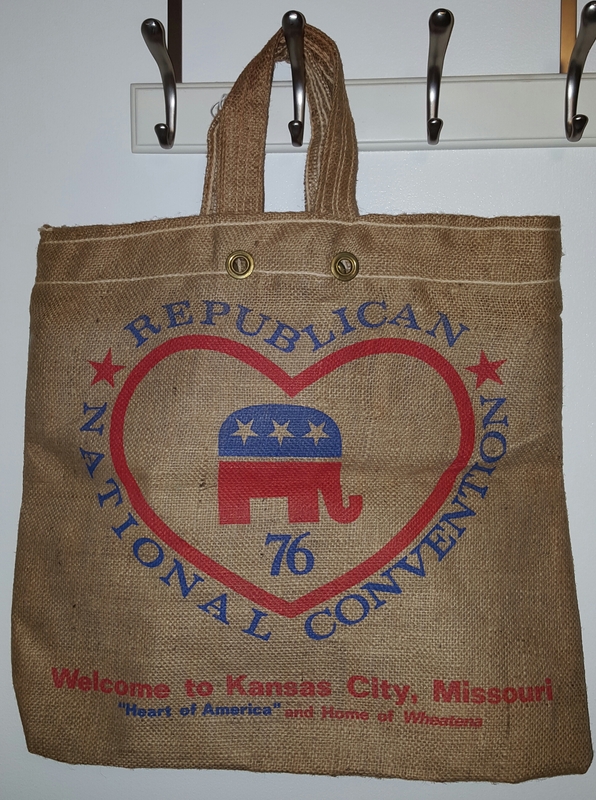 The bag, I don’t think, was ever actually used. I may have to think about what to do with these guys.